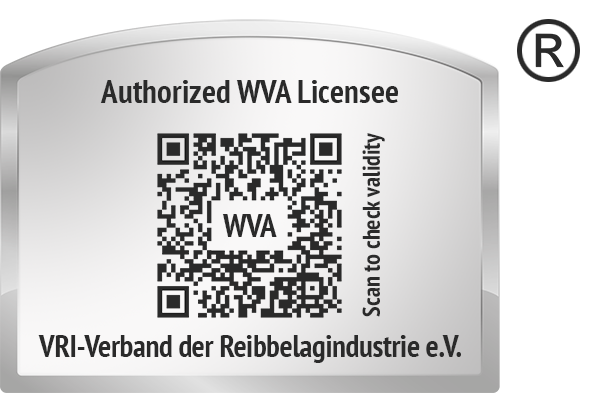 The WVA seal is a trademark of the VRI Association of the Friction Materials Industry registered at the German Patent and Trademark Office. All seal holders comply with the quality features demanded by the VRI Association of the Friction Materials Industry. The aim of the WVA seal is to make the quality standards of our members and licensees more visible.